The French were constantly attacked by the Ottomans as they marched back to Egypt. They did carry the sick with them, but they would put them in the back of the line to make sure that they didn’t infect any others. The expedition arrived back at Cairo after 4 months with only part of the original force. They would lose 1,200 men during the trip with 1,800 wounded and 600 returning with the plague. Napoleon claimed that they had won the Battle of Acre to the people of Egypt, not wanting the rest of his men to know what happened. The British brought an Ottoman army under Seid Mustafa Pasha to Egypt to help kick the French out of Egypt for good. Pasha knew that attacking the French squares wouldn’t work so he took heavy defensive positions instead. They dug trenches and set up cannons, but were too far away from the sea to be helped by the British Navy (didn’t listen the the advice of the British on where to have the battle). Napoleon knew that he was in a bad position and could get in real trouble quickly if things got any worse. opportunity to counterattack he would take it, killing a number of French troops in these attacks. When the Ottomans decapitated and mutilated the bodies, which was normal for the Ottoman army, it would infuriate the French and lead them to attack without orders. This attack would overrun the Ottoman lines and cut off the escaping troops at the same time. The Ottoman army tried to flee in all directions, with some drowning while trying to swim to the British ships. In the end, the Ottomans would lose 8,000 soldiers while the French lost a total of 220. This battle would conclusively show Napoleon that there was no way to maintain this position long term. The French were running out of soldiers without possibility of reinforcements and diseases were causing more problems with his men with each passing year. Napoleon would leave without telling anyone what he was doing, actually claiming he was sailing the Nile river. Once the army was told what had actually happened they felt betrayed by him. The French army was told they were to be “honorably evacuated” by the British, but they would change their minds and attack General Kléber (France) with 30,000 Mameluke troops instead. While Kléber defeated this attack it was clear that the French didn’t have a great deal of time left that they could hold out. A Syrian student named Suleiman al-Halabi assassinated Kléber by stabbing him (1800). The next French leader was a poor military leader and would be beaten quickly by the Egyptians. Most of the French would be forced to find their own way back to France, with very few making it outside of the leaders, who had the money to get a ride. The Treaty of Paris (1802) would end the hostilities between the French and the Ottoman Empire and would give Egypt back to the Ottomans. Most people saw this invasion as a colossal failure for the French, due to the loss of 15,000 soldiers in battle and another 15,000 due to diseases. 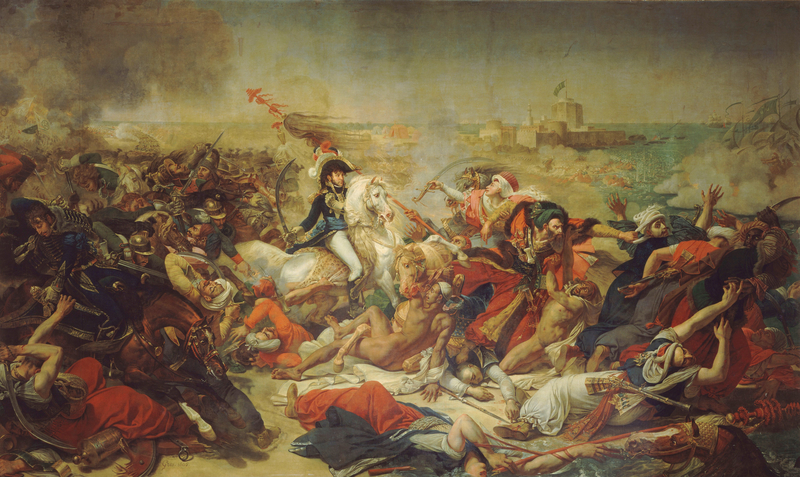 The belief in Napoleon as a military genius never suffered because of these losses though. Most people within France weren’t aware of what had happened and he would cover the losses with very well developed propaganda. They would blame the defeats on Kléber, since he was dead, and it helped Napoleon greatly to have a person to blame.